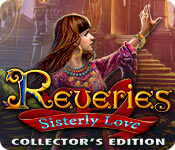 Reveries: Sisterly Love Collector's Edition is rated 4.2 out of 5 by 77. Rated 5 out of 5 by Raysar from Beautiful Graphics, surprises galore This game was visually beautiful and had surprises around every corner. 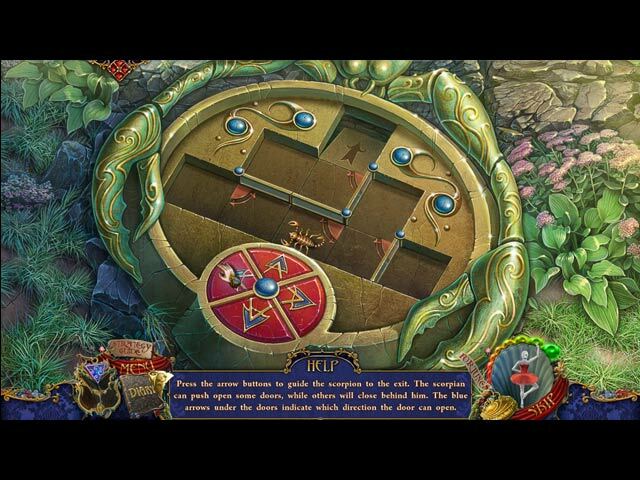 It wasn't just your hum drum hidden object game. I really enjoyed this and the bonus game was rich and full as well. I highly recommend this. Rated 5 out of 5 by Garfish25 from Good work ERS A great game from ERS, a credit to them as their 50th game and best of all no annoying circles! Great graphics and a whimsical landscape make for a fun playing experience. Rated 5 out of 5 by ninda2 from loved this game Even though It has some dark issues, like the sister exchanging her soul I still liked this game, it was better than all the dark evil games out there. It has good music good graphics and it has a good flow to it. You have achievements to obtain and HOS are good and the puzzles are pretty good and interesting. Rated 5 out of 5 by BereniceP from My Perfect Game Beautiful graphics, funny characters. 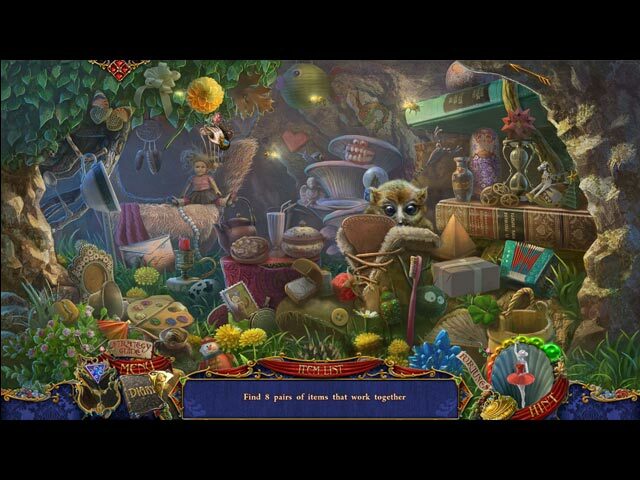 Hidden object scenes with a difference, not just find the object. I really enjoyed this games and can't wait for the next one. Rated 5 out of 5 by BirdLover89 from So cute I really enjoyed this game. The scenery and the really cute characters, especially the animals, were really enjoyable. The little centipede was very cute. I loved the entire game and highly recommend it. Rated 5 out of 5 by nmtrekker from ERS games One of the reasons I like ERS Studio games is the Collector's Editions are always worth the extra cost. Most other games when you buy the CE's, you are purchasing the ability to use the wallpapers...I don't want that. The ERS games always have a bonus chapter that is long and full of challenge so it's worth it to pay the extra. 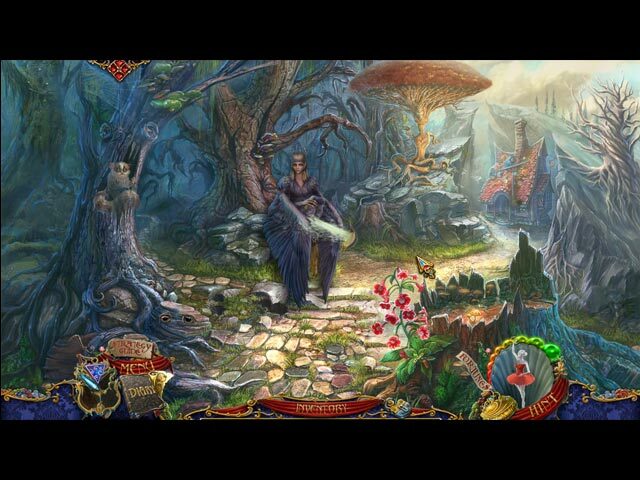 They come out with quality games fairly often and I notice they are working at changing up the hidden object games and making the strategies a little more challenging. Rated 5 out of 5 by catdroid from WOW and another WOW !!!! I loved this game. It might be a girly game but it was fun and beautiful. Long playing time Pretty music Beautiful graphics Great HO'S and puzzles Many different locations I was sorry to see it end A great game I will play again and again. Rated 5 out of 5 by jamsarnie from EXCELLENT GAME Demo flew past ,I enjoyed the humour and the sweet animals.I cant add any more to what has already been noted .but its a buy for me very entertaining.. Rated 5 out of 5 by Jem_Jerrica_Guy from Save 1 world from 2 evils! The bonus story in the collector's edition is worth it. This game is stilly to the point of where others have said it's for younger girls. But ERS' sound and visuals aren't lowered by that. If you love fairy tale atmospheres, go for it! Rated 5 out of 5 by cpezzop from Reveries: Sisterly Love Collector's Edition Simply a beautiful fantasy. My kind of story. The colors were just beautiful. Loved it!!! !